The Reserve Bank of India (RBI) vide its Master Direction dated March 03, 2016 on ‘Interest Rate on Advances’, has deregulated the interest rate on advances sanctioned by Scheduled Commercial Banks (excluding RRBs). As per these directions, the banks prescribe a comprehensive policy on Interest Rate on Advances duly approved by their Board of Directors. Banks prescribe the rate as per their policy while extending credit to borrowers. NABARD has reported that it offers the facility of long term refinance to different categories of banks out of resources raised from market and from own funds. The interest rates on refinance is reviewed by NABARD from time to time considering the prevailing market situation. In respect of scheduled commercial banks the last revision was effected from 17 May 2017 and for other banks, viz. Regional Rural Banks (RRBs), State Cooperative Banks (StCBs), State Cooperative Agriculture & Rural Development Banks (SCARDBs) from 14 July 2017. The interest rates which were in the range of 8.80% to 9.20% as on 01.04.2016, are presently in the range of 7.65% to 8.10%. Further, Long Term Rural Credit Fund (LTRCF), was created with NABARD with effect from 2014-15, in order to provide long term refinance to Cooperative banks and RRBs to meet the long term investment credit lending in agriculture, contributed out of shortfall in achievement of Priority Sector Lending (PSL) targets by Scheduled Commercial Banks. The interest rate on advances under LTRCF during 2014-15 was 7.85% which is presently at 4.90%. 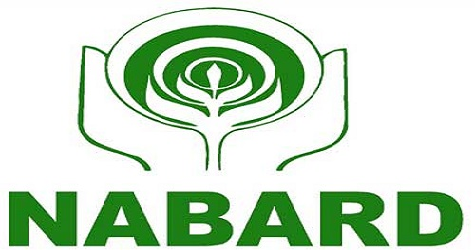 NABARD prescribe a comprehensive policy on Interest Rate on Advances duly approved by their Board of Directors. Banks prescribe the rate as per their policy while extending credit to borrowers.